Not only is Dr.Doss kind, but she is compassionate as well and goes above and beyond to understand her patients, relateto them, and help them in any way she can. Best doctor ever! Not only is Dr.Doss kind, but she is compassionate as well and goes above and beyond to understand her patients, relate to them, and help them in any way she can.Best doctor ever! 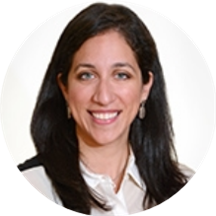 Specializing in pediatrics and primary care, Dr. Mona Doss is an accomplished practitioner serving the community of Boston, MA. Having obtained her bachelor’s degree from Brandeis University, she went on to earn her osteopathic medicine degree from the University of New England. She concluded her residency in pediatrics at the University of Connecticut. Dr. Doss sees patients at Child Health at BMC. Dr. Doss is board certified by the American Board of Pediatrics and a member of several renowned memberships including the American Academy of Pediatrics and the Massachusetts Osteopathic Society. She also has many publications in renowned journals to her credit. Dr. Moss builds a friendly rapport with her pediatric patients and endeavors to make pediatric consultations a pleasant experience. She takes a genuine interest in researching and updating herself on various new advancements in pediatric medicine, so her patients get the best and the most advanced treatment possible. 3)	Doss M, White MR, Tecle T, Ganz D, Crouch EC, Jung G, Ruchala P, Waring AJ, Lehrer RI, Hartshorn KL. Interactions of alpha-, beta-, and theta-defensins with influenza A virus and surfactant protein D. J Immunol. 2009 Jun 15; 182(12):7878-87. PMID: 19494312.